Figurative language and imagery! 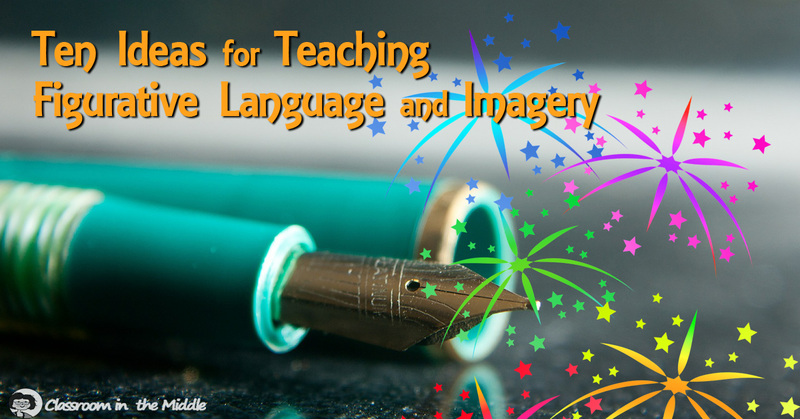 Teaching these concepts can be a fun part and a dreaded part of the language arts curriculum – all at the same time! 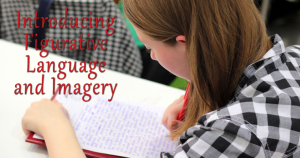 Kids in middle school and upper elementary are still much more comfortable with writing whatever comes to their minds rather than working slowly to craft language, and so any figurative language beyond commonly used cliches can take a real effort. On the other hand, similes, metaphors, and so on are great topics for fun classroom activities. 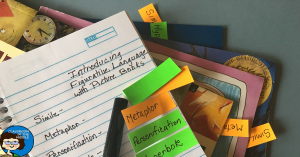 Over the past few years, I’ve written a number of posts about ideas for teaching figures of speech and imagery, and I’ve also created a number of resources on the subject, some for sale and some free. Starting with blog posts about using picture books to teach figurative language, here is a rundown of many of them. 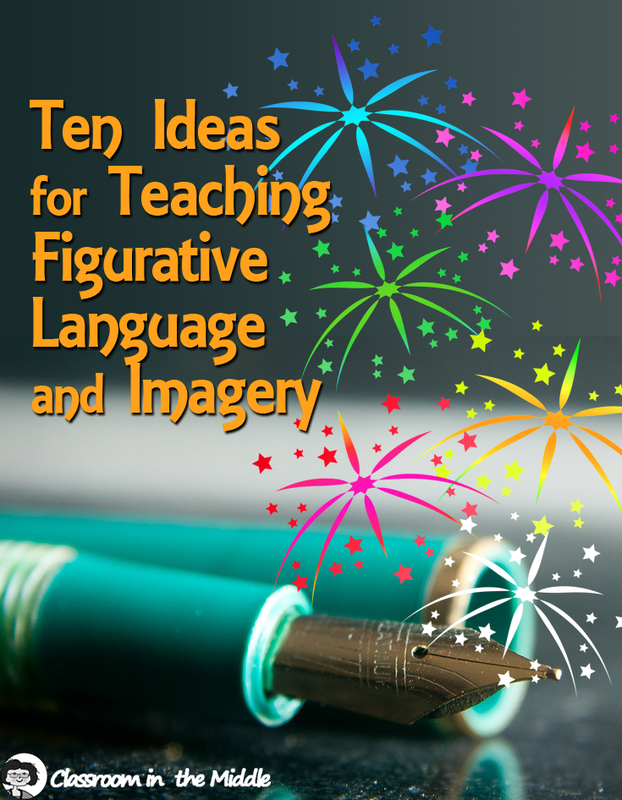 Introducing Figurative Language with Picture Books – Here are ideas for making use of the great artwork in picture books to teach specific figures of speech. Included are suggestions of book titles that middle grade kids will love. 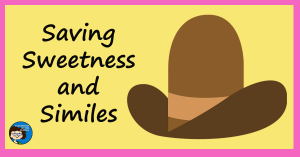 Saving Sweetness and Similes – Saving Sweetness, by Diane Stanley, is one of my favorite funny picture books. It’s a perfect source for examples of kid-friendly similes. 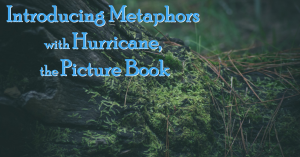 Introducing Metaphors with Hurricane, the Picture Book – Great metaphors and other types of figurative language as well. This post discussed a specific section of Hurricane, the picture book by David Wiesner, that would make a great mentor text for teaching metaphors. 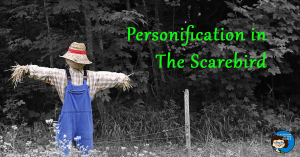 Personification in The Scarebird – There are great examples of personification in the text and in the illustrations of this picture book by Sid Fleischman. 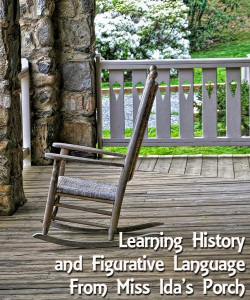 History and Figurative Language From Miss Ida’s Porch – From Miss Ida’s Porch, by Sandra Belton, is perfect for tying in American history with a language arts lesson, and it also has great examples of figurative language including similes and metaphors. 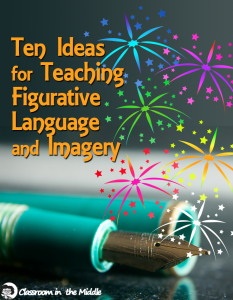 Introducing Figurative Language and Imagery – More ideas about teaching figures and speech and imagery with suggestions for incorporating them in reading and writing lessons. 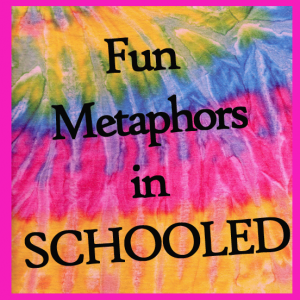 Fun Metaphors in Schooled – Schooled, by Gordon Korman, is a middle grades novel that includes lots of metaphors that upper elementary and middle school kids will appreciate. 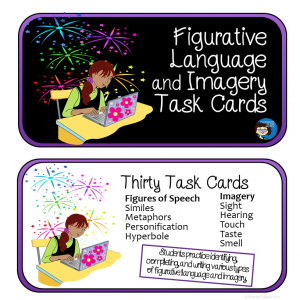 Figurative Language and Imagery Task Cards – When kids need more practice to really internalize a concept, task cards are great, and I designed these especially to give kids practice, in a variety of activities, with each type of figurative language and imagery. 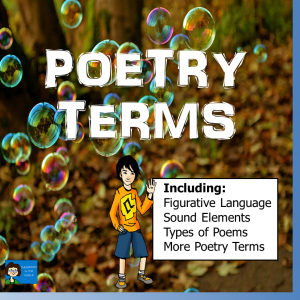 Poetry Terms – This presentation explains poetry terms including figurative language, sound elements, and more. The terms are presented with definitions and examples, many taken from poetry and other types of literature. Student practice slides and a two-page notebook sheet which can be printed out in advance for students to complete as they view the slides are included. 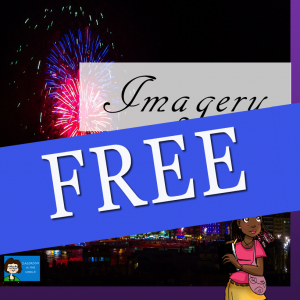 Imagery – Using the Five Senses – This free presentation introduces imagery with explanations and examples of imagery that appeal to the five senses including descriptive language and figurative language.